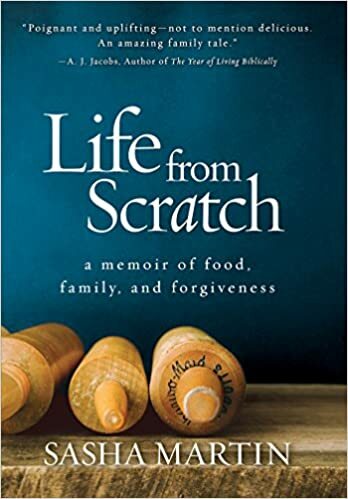 The thing that home cooks need to learn is the same thing writers need to learn: You can eat at the best restaurants in the world, just as you can read the great books of the world, but just as you have to write like yourself, when it come to cooking, you have to cook like yourself. …and bake like yourself. Like myself. With chocolate, butter and cream. 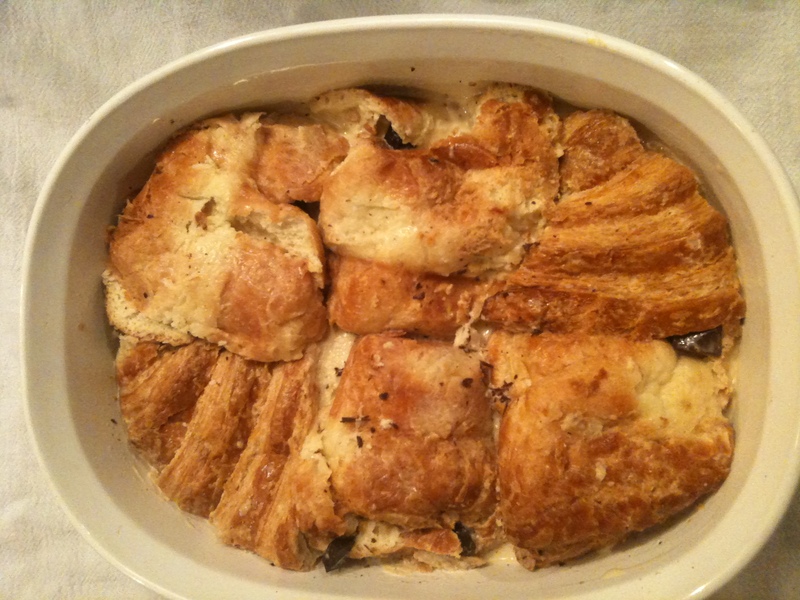 Don’t argue with me, just get a load of this: Croissant Bread Pudding. Why croissants (no one actually asks this)? Because regular bread pudding isn’t fattening enough. Sometimes, in matters of dessert, there is nowhere to go but over the top. Once, when I was pregnant, I ate a croissant that had been cream-filled, deep-fried and then frosted, because a plain croissant isn’t fattening enough. I think the place has since been shut down. And I only did it once. Sometimes when I say “once,” what I mean is twice. I owe the inspiration for this recipe to my BFF’s mother, Joyce, who uses regular bread because she is a sensible woman. I am not burdened with good sense, and I urge you to be likewise unfettered. This is great to put together ahead of time and pop in the oven before company arrives. Cut croissants in half and arrange bottom halves in baking dish (I like to use a 2 1/2 quart size). Whisk eggs, half and half, sugar and vanilla then pour liquid over bread. Nestle dried fruit and chocolate on top and cover with the top halves of the croissants. Press down for a bit. A tip from Ina Garten, the Barefoot Contessa, has proved invaluable: See that the dried fruit is trapped between the layers of croissant or it will float to the top and burn. Let stand on counter or fridge for a half hour (I have certainly put it straight into the oven but letting it sit will yield a better result) before placing into a 350 degree oven for about 30 minutes, or until custard doesn’t flow into the middle. I just placed my dish of this pleasing, no-fail dessert into the fridge, ready to entertain with tomorrow night. I will not have time to prepare food tomorrow because I will be participating in the Mud Factor Mud Run. This will not be fun in the way that eating dessert in bed is fun, but I hope it will be exhilarating. Though it may be pure misery. But I can muck through an obstacle course in the driving rain if I know I will be rewarded with pudding. If only it could be waiting for me at the finish line.